The 10th International Conference on Structures in Fire will be hosted by the Fire Safety Engineering Research and Technology Centre (FireSERT), Ulster University. The main focus of the SiF conference is to provide an opportunity for researchers, practitioners and engineers to share their "structures in fire" research, technology and expertise with their peers in an international forum. Allowing papers to be submitted only a few months before the conference, permits the most current scholarships to be presented. 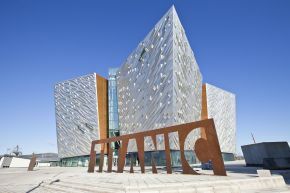 In addition to high quality state-of-the-art presentations, the SiF 2018 conference will place significant value on discussions both formally, following presentations and informally through receptions, meals and breaks at Belfast's Titanic centre and the Waterfront Hall.